​of your website for you. We maintain auto dealer websites by Dealer.com, Pixel Motion, Autofusion, TK Carsites, Cobalt, BZ, E-Biz Autos, DealerOn, Search Optics, Vin Solutions, Reynolds & Reynolds and more. We make their websites better by adding timely special offers, seasonal and holiday themed graphics, custom content and much more. 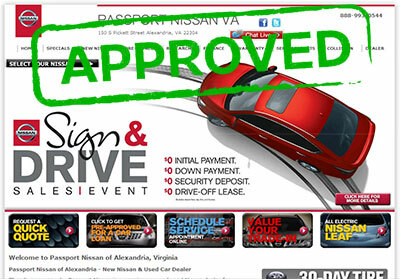 We submit auto dealer websites for compliance pre-approval.